My kids gave me a Nike Fuel Band for my birthday. Well, that is not completely true. My cash-strapped kids recommended it. My wife actually gave me a Nike FuelBand, but she put the kid's name on the box. When I opened the gift, there were two Nike FuelBands in it. A M/L for me and a S for my wife. His and hers matching Nike FuelBands. 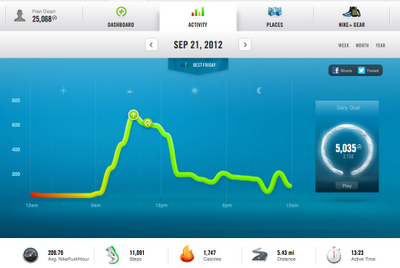 So if you think about it, I technically, I gave myself two Nike FuelBands for my birthday. It was a great birthday....for my wife. Actually, it was a great deal for me, a dad who works on a computer for hours and hours a day, then goes home to write, read and explore on the computer at night. I was getting lazy. Days would go by that I did basically nothing active. Now I have a device that keeps me aware of my laziness or lack there of. I am a stats guy. I love numbers. I love goals. So this was the perfect present for me. The wristband uses accelerometers to calculate my activity in 3 ways; 1) steps taken, 2) calories burned through activities, and 3) Nike Fuel points. Nike Fuel is a universal number that takes into account the steps and calories burned with the gender, age, weight and height of the Nike Fuelband wearer. 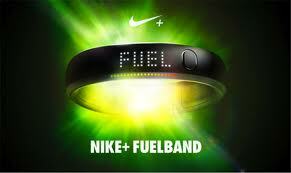 Nike Fuel points are suppose to be an apples to apples number that people of all ages and shapes can compare. All of this data is easily attained with a few pushes of a rubber button on the band. 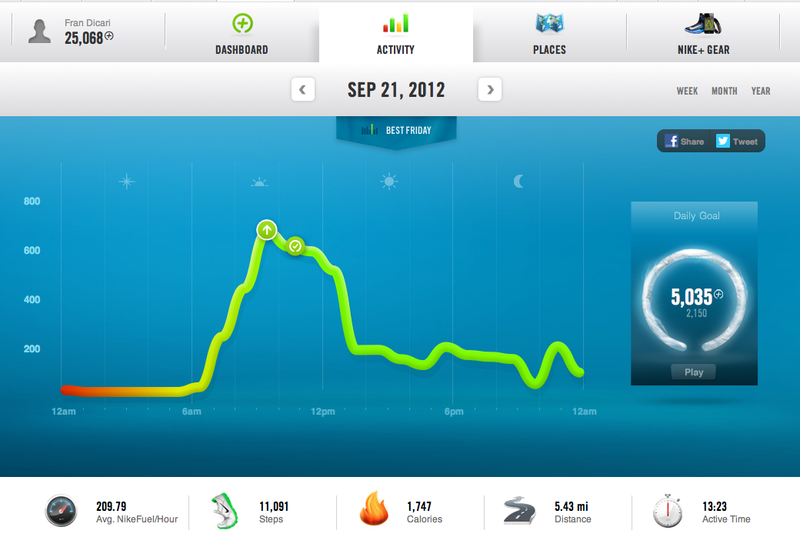 Gadgetreview.com did a nice job of reviewing the Nike Fuel Band in March 2012. The reviewer was not overly impressed with the accuracy of the device, but applauded the utility and cool factor. I really don't care if the number of steps I take in a day are off or the calories burned are inaccurate, but I thrilled to know how active I am. Check out the two charts below. Sept 14, I played golf with my bother-in-law. Lots of walking and moving. 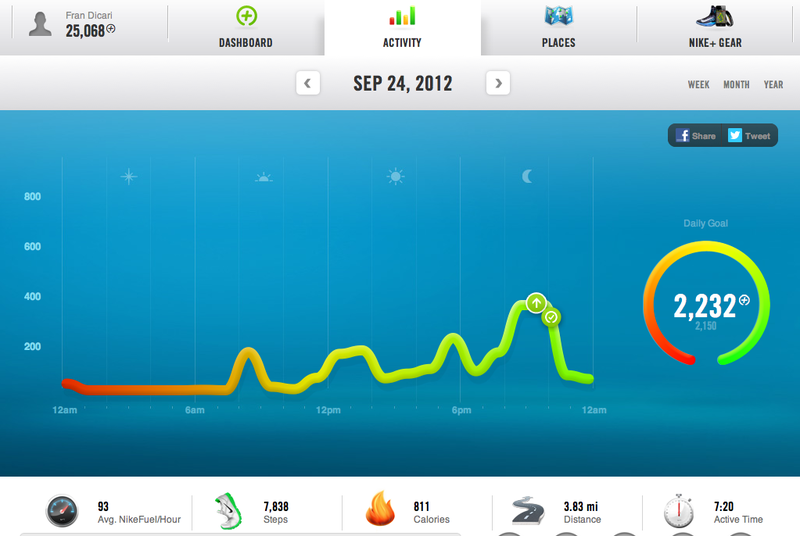 I burned over 5000 Nike Fuel points. Sept 25, I had a very busy day at work (on a computer) and then had to meet my wife at my son's high school for an event. Lots of sitting. At 9pm, neither my wife nor I had reached our set goals, so we went for a fast-paced walk in the neighborhood to get into the green (the goal area). A recent study indicates that the young people of today may be the first generation NOT to live as many years as their parents. Technology, mainly computers and video games, is the culprit for the inactivity. The inactivity is causing the life-shortening health problems. Well, technology can also be the solution. Get your inactive, technology loving kids a Nike FuelBand. If your kids are watching too much TV and playing video games all day long, then strap a Nike FuelBand around their pudgy wrist and give them a goal. If they make their goal, the following day they can watch TV and play Mortal Kombat or Club Penguin. If they do not reach their daily goal, then they can't. It's a pretty simple concept. My kids are very active, so they do not need a Nike Fuelband, but I can attest that it is working for me and my wife. I cannot recommend this product anymore. I was addicted to my first Nike Nuel band. I was constantly pushing the button to gauge my day's activities. I had a long streak of reaching my goal over 200 days, so that button got a workout. It eventually failed to work. Nike was great. They sent me a new one and I returned the old one in the box that the new one was sent. The new one lasted about 2 weeks before the link that is used to make the band larger would not lock in. My wife had the same problem. It is great to try new products. It might be better to wait until the bugs are out. 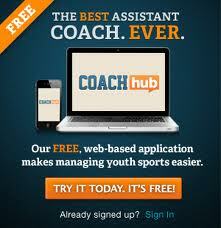 Youth Sports: Is God In or Out?